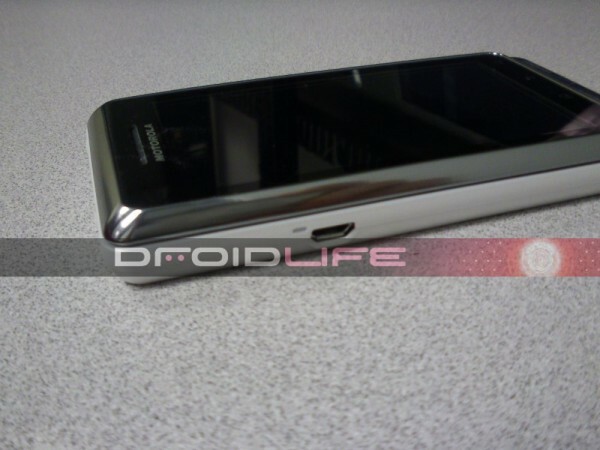 We first showed you our exclusive shots of the Droid 2 Global and now have even more goodies from this amazing looking device. Who wants some Quadrant system info and benchmarks? Unfortunately we don’t have screenshots, but this is the information we’ve been given we have no reason to question. 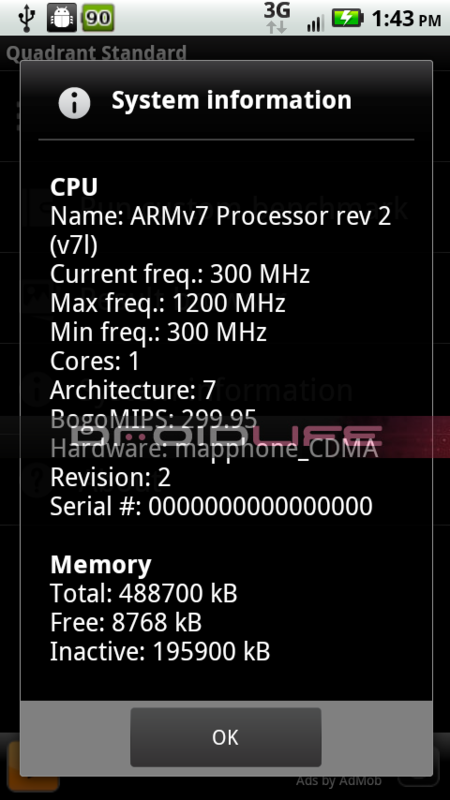 How does an ARMV7 clocked to 1.2GHz sound? 1709 benchmark? So you can see from the system info that this beast has been clocked at 1.2GHz which would make this D2 the fastest device on the market, right? It also is sporting what appears to be the same 512MB of RAM that both the DX and original D2 sport. And when an actual Quadrant benchmark was run, the first attempt came up with 1566 and the second hit 1709. Seriously, wow. 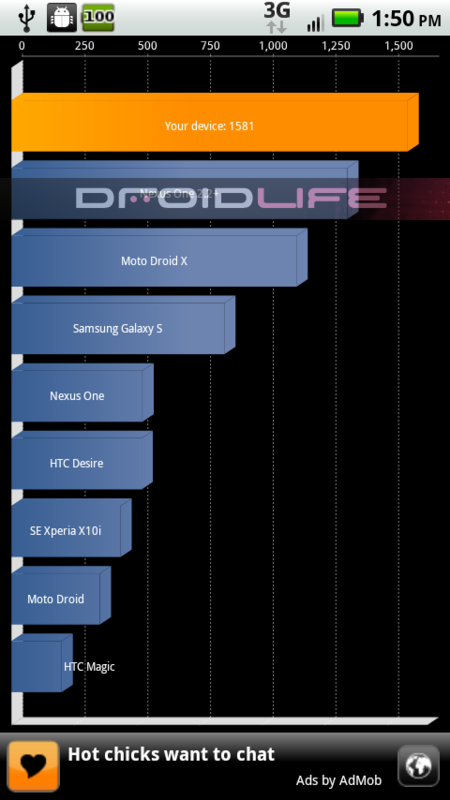 To give you an idea of what the Droid X gets, check out this post. The Linpack score came in 16.499 which is about as high as you’ll see for whatever reason on an OMAP processor. Impressed? I’m loving the look and the speed, but is the 3.7″ screen a deal breaker? We’re in San Francisco Gaming with OpenFeint!